USA is one of the most popular destination amongst the students since a very long time when they are willing to study abroad. But these days the preferences are changing. Students are changing the preference from USA to Canada. One major reason for the change of choice of destination from USA to Canada can be the USA Visa policy which is not very friendly with the students. In USA the international students has to reapply for the Visa every year showing that they are in the school or college in USA. Whereas the Canadian Government has given liberty and encourages students to reside in the country as long as possible and the more they want to stay back. The U.S. Visa application system is also a lengthy and complicated process, requiring intense scrutiny, questioning and plenty of waiting. The Canadian visa process is simpler and shorter, making it easier for international students to get a study permit. Another major reason can be the cost that a student has to bear for the studies. Studying in USA is costlier than studying in Canada. The facility of getting the financial aid is is also a tough thing as an international student in United States. On the other hand the Canadian Universities offer financial aid or scholarships to international students easily which is not the case in United States. 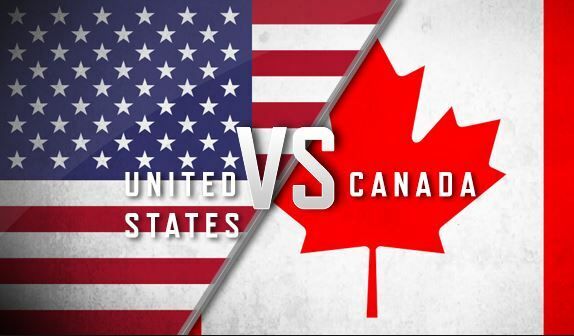 Along with the lower tuition costs or the program fees the cost of living is also lower in Canada as compared to USA. The affordability can be one major reason that the students are choosing Canada over USA. President Donald Trump is one of the major factors because of which the applications of foreign students have reduced almost by 20%. He has changed the thoughts of the people towards USA. His attitude towards the foreigners has also led to the rejection from international students as the destination for higher education. The decline in USA applications have the direct correlation with the president’s policies. On the other hand Canadian President is open handedly welcoming the students to Canada with all the major facilities and the best education that he can provide. He says that diversity is his strength and he believes in making it more diverse in Canada. The Canadian policies as compared to USA are very easy and comfortable for the students which are the major attraction towards Canada. Canada aims to embrace the international students in all means. In the near future Canada aims to bring a large number of students here for studying. Presently the number of students is not that much but in the near future it aims to have the best education hub for the international students. By the current figures we can easily see that the number of students applying for USA is decreasing while in Canada it is increasing rapidly. Students are increasingly choosing Canada over USA because of its policies and environment too. The Canadian Government welcomes people for Permanent residency also as the people are keen to get the PR in Canada. During the education also the student has the work permit and it provides them the work for atleast 3 years after the completion of their education in Canada. These 3 years time period gives them the gateway for finding new opportunity and also the PR which is not the case in USA. When you think about the biggest differences between Canada and the United States, Canada’s universal healthcare may come to mind. Since Canadian healthcare is managed by individual provinces, there are differences in the coverage that they offer. Not all provinces offer coverage for temporary residents like international students. That said, students in provinces that don’t include international students can usually opt-in to their school’s insurance plan, or use one of many affordable private insurance providers. These help the international students to get the best health care options to be secured in the foreign country.